Classic heterotaxy consists of congenital heart defects with abnormally positioned thoracic and abdominal organs. We aimed to uncover novel, genomic copy-number variants (CNVs) in classic heterotaxy cases. 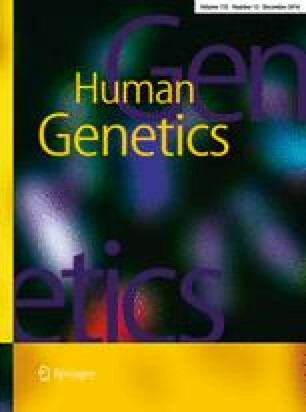 A microarray containing 2.5 million single-nucleotide polymorphisms (SNPs) was used to genotype 69 infants (cases) with classic heterotaxy identified from California live births from 1998 to 2009. CNVs were identified using the PennCNV software. We identified 56 rare CNVs encompassing genes in the NODAL (NIPBL, TBX6), BMP (PPP4C), and WNT (FZD3) signaling pathways, not previously linked to classic heterotaxy. We also identified a CNV involving FGF12, a gene previously noted in a classic heterotaxy case. CNVs involving RBFOX1 and near MIR302F were detected in multiple cases. Our findings illustrate the importance of body patterning pathways for cardiac development and left/right axes determination. FGF12, RBFOX1, and MIR302F could be important in human heterotaxy, because they were noted in multiple cases. Further investigation into genes involved in the NODAL, BMP, and WNT body patterning pathways and into the dosage effects of FGF12, RBFOX1, and MIR302F is warranted. The online version of this article (doi: 10.1007/s00439-016-1727-x) contains supplementary material, which is available to authorized users. We thank the CBDMP and the California Department of Public Health for case identification; Michael Tsai and Natalie Weir at the Minnesota Core Laboratories and the staff at the Biomedical Genomics Center Facility at the University of Minnesota for microarray genotyping; Matthew Shudt and Zhen Zhang at the Wadsworth Center Applied Genomics Technologies Core, New York State Department of Health, for next-generation sequencing; Zoe Edmunds and Katherine Keever at the Wadsworth Center, New York State Department of Health, for technical assistance; and Nathan Pankratz, University of Minnesota, and Karl G. Hill, Social Development Research Group, University of Washington, for generously sharing population B-allele frequency and GC content files for PennCNV software. The California Department of Public Health is not responsible for the results or conclusions drawn by the authors of this publication. This work was funded by the Intramural Research Program of the National Institutes of Health, Eunice Kennedy Shriver National Institute of Child Health and Human Development (Contracts HHSN275201100001I, HHSN27500005, and N01-DK-73431). Dr. Shaw was partially supported for this work by funds from CDC (5U01DD001033) and NIH (R01HL092330).